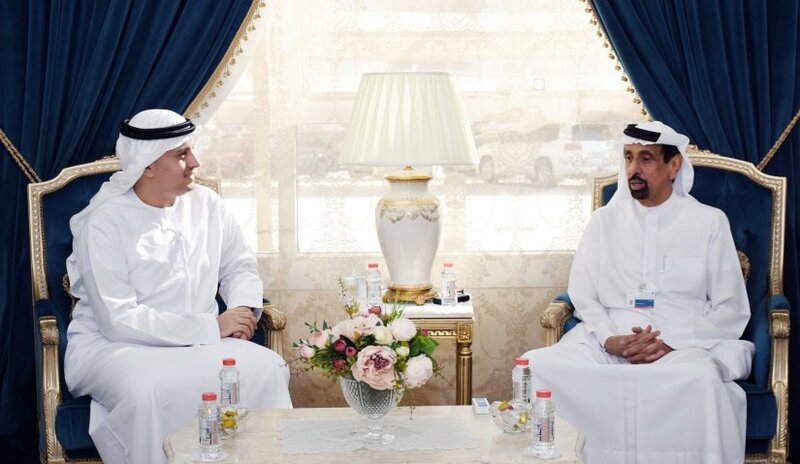 Dr. Noor Aldeen Atatreh, Al Falah University's Chancellor met with the General Manager of the Islamic Affairs and Charitable Activities Department in Dubai, Dr. Hamad bin Ahmed Al Shaibani, to discuss a possible partnership between the two parties. Together with Dr. Atatreh was Prof. Abdelhafid Belarbi, AFU President. H.E. Dr. Al Shaibani welcomed the guests and stressed the need to develop strategic cooperation with various educational institutions to exemplify Islamic voluntary work and generous behavior. Dr. Atatreh stated that Al Falah University aspires to develop a partnership with the department to encourage and promote utilitarian work through positive actions to society’s needs. The UAE under the leadership of its wise government has always been a pioneer in volunteerism. the Islamic Affairs and Charitable Activities Department in Dubai could attest to this by the aspirations of stakeholders and clients to spread religious awareness through various means. Towards the end of the meeting, Dr. Atatreh presented a plaque to His Excellency Dr. Hamad Bin Al Sheikh Ahmed Al Shaibani in honor of efforts exerted towards the development of charitable work.